Here’s all you need to know about the 11th match of BBL 8 between Hobart Hurricanes and Sydney Thunder, at the Bellerive Oval, Hobart. 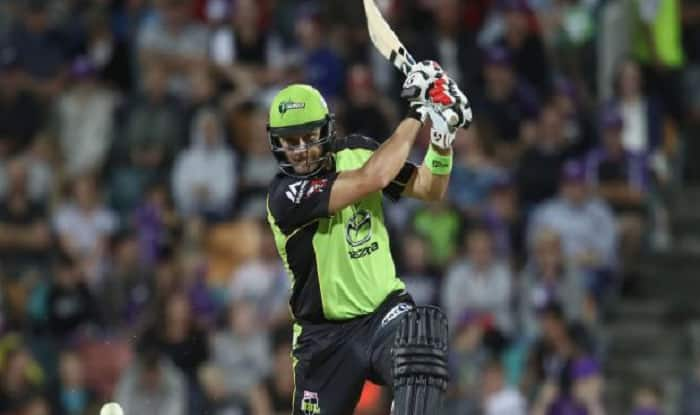 BBL 2018-19 Hobart Hurricanes vs Sydney Thunder, Live Cricket Streaming: It is the battle between the top two teams of the league, who will leave no stone unturned to reach at the top in the points table. Both Hobart Hurricanes and Sydney Thunder have remained unbeaten in the eighth edition of Big Bash League so far, they have won both their matches and the one winning this encounter may move to the top of the points table. Hurricanes will host Thunder in an exciting clash at the Bellerive Oval in Hobart on Friday, December 28. Hobart and Sydney have gone head-to-head eight times in the BBL history with the Hurricanes leading the scoreline 6-2. In their previous face-off, during the seventh season of BBL, the Hurricanes managed to pip the Thunder by nine runs in a thrilling contest. Here’s all you need to know about the 11th match of BBL-8 between Hobart Hurricanes and Sydney Thunder, at the Bellerive Oval, Hobart. What time does the Hobart Hurricanes vs Sydney Thunder match in the BBL 8 starts? The Hobart Hurricanes vs Sydney Thunder match in the BBL8 starts at 1:45 PM IST, 27th December (Thursday). Where is the Hobart Hurricanes vs Sydney Thunder match in the BBL 8 being played? The Hobart Hurricanes vs Sydney Thunder match will be played at the Bellerive Oval, Hobart. Which TV channels will live broadcast (in India) the Hobart Hurricanes vs Sydney Thunder match in the BBL 8? Hobart Hurricanes vs Sydney Thunder match in the BBL8 will be live broadcast on Sony Sports Network in India. How to watch the free online live streaming of Hobart Hurricanes vs Sydney Thunder match in the BBL8? The free online live streaming of Hobart Hurricanes vs Sydney Thunder match in the BBL8 will be available on Sony Liv app and Jio TV. What are the probable playing XIs of Hobart Hurricanes vs Sydney Thunder match in the BBL8?